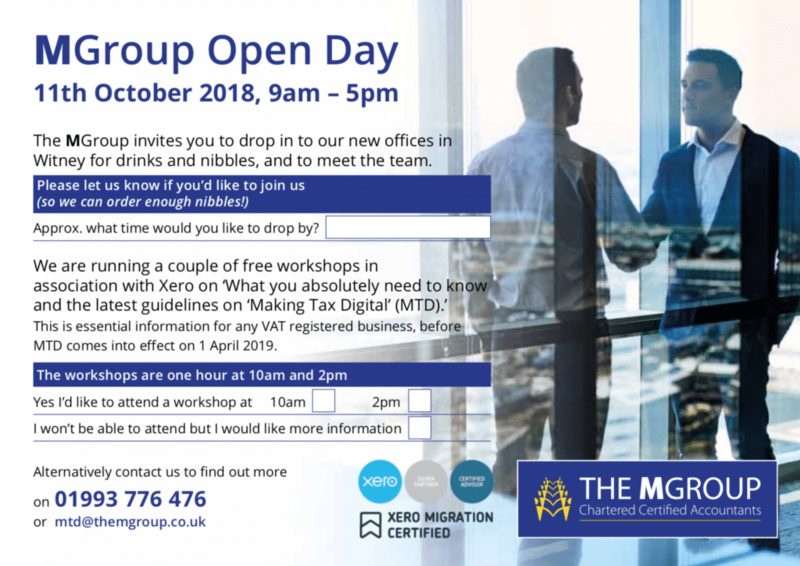 The MGroup are holding workshops on digital tax changes at our new offices in Witney on Thursday 11th October 2018 from 9am – 5pm. In order to help attendees stay up-to-date with the digital tax changes we will be running a couple of free workshops in association with Xero. We will be providing drinks and nibbles, and an opportunity to meet the team. Simply let us know by emailing mtd@themgroup.co.uk or calling 01993 776476.